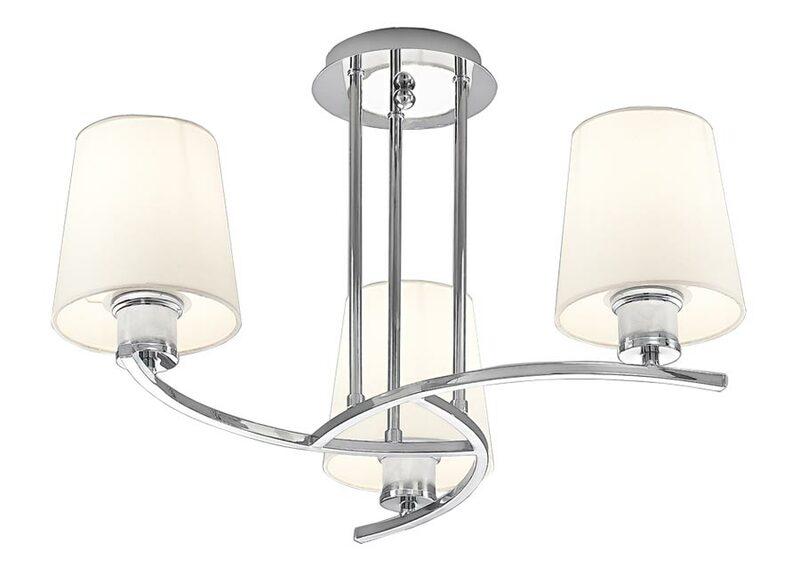 This Franklite Hexx semi flush ceiling 3 light in polished chrome with tapered cream shades is contemporary and part of the inspired lighting designs collection. Featuring circular ceiling mount and mirror chrome face plate, with three long drop rods supporting three curved arms, each holding an upward facing tapered cream fabric shade for a softer lighting effect. Perfect for use with low energy or LED lamps. 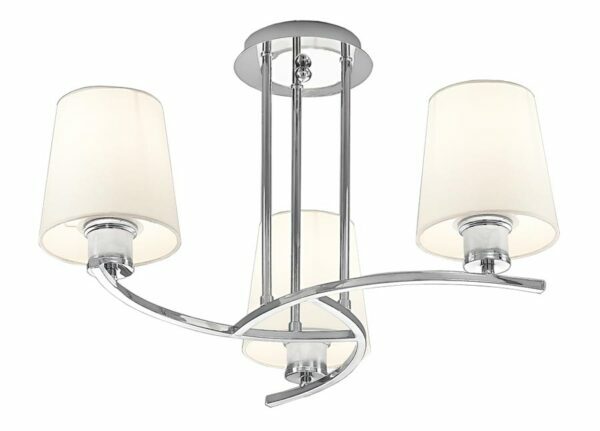 A modern, stylish ceiling light that drop down very much, making it perfect for any bedroom, dining room or living room with a low ceiling. The bright polished chrome finish and cream fabric shades combine to create a bright and airy look that is perfect for any modern setting. There are matching fittings in the polished chrome Hexx semi flush lighting range that includes fittings with upward and downward facing shades; please see below. This light is supplied by Franklite Lighting who have been one of the pioneers in the design, manufacture and distribution of high quality lighting such as the Hexx semi flush ceiling 3 light in polished chrome with tapered cream shades you see here.